The territory of Japan comprises the four large islands of Hokkaido, Honshu, Shikoku, and Kyushu, and other smaller islands. The Japanese territory is located in the region called Northeast Asia or East Asia, to the east of the Eurasian continent. It is surrounded by the Pacific Ocean, the Sea of Okhotsk, the Sea of Japan, and the East China Sea. Japan's easternmost point is Minami-Tori Shima Island (153°59'11" east longitude), its westernmost point is Yonagunijima Island (122°56'01" east longitude), its southernmost point is Oki-no-Tori Shima Island (20°25'31" north latitude), and its northernmost point is Etorofu Island (45°33'26" north latitude). The total land area of the Japanese territory is about 378,000 square kilometers. The largest island Honshu, at nearly 228,000 square kilometers, is the 7th largest island in the world. 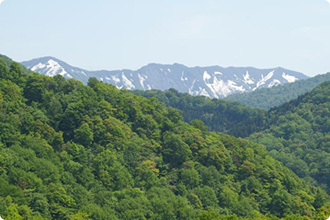 Japan is a mountainous country, with two-thirds of its territory covered with forests. Most areas have a temperate climate with four distinct seasons, although Okinawa in the south is subtropical, and Hokkaido in the north is subarctic. Therefore Japan has great diversity of plant and animal life. 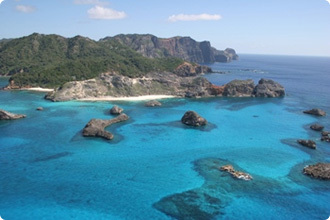 In addition, there remain a large number of valuable ecosystems throughout the country, with the four areas of Shiretoko, Shirakami-Sanchi, Ogasawara Islands, and Yakushima on UNESCO’s World Heritage List.